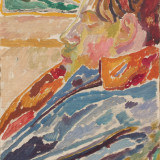 Piano Nobile's exhibition From Omega to Charleston: The Art of Vanessa Bell and Duncan Grant 1910 - 1934 has been featured as the 'Pick of the Week' in Country Life. 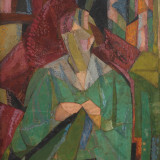 The review praises the exhibitions 'major loans', referencing the group of works from Charleston. It also writes of 'an important coup', the rediscovery of The Famous Women Dinner Service. For the full article, please click the link below.